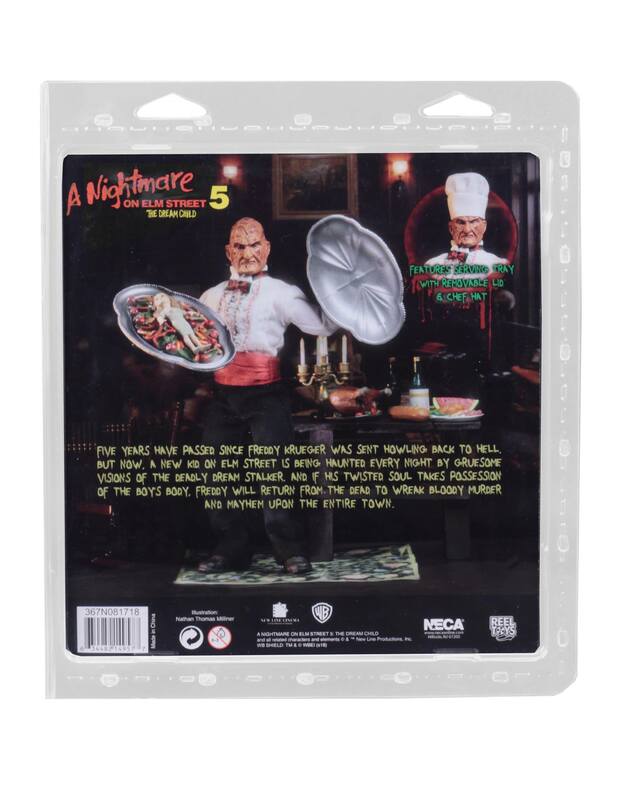 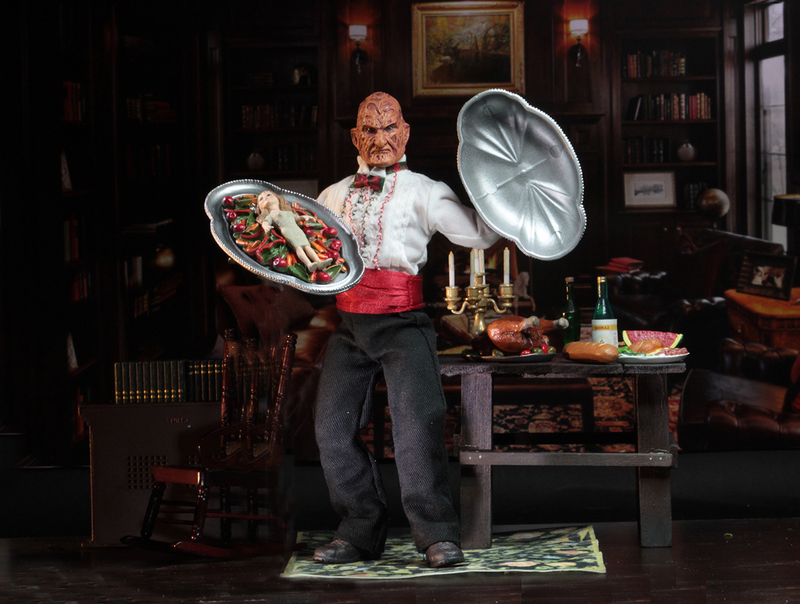 The A Nightmare On Elm Street Part 5: The Dream Child – Chef Freddy Krueger 8″ Scale Retro Figure is available now directly from the NECA eBay Store and the NECA Amazon Store. 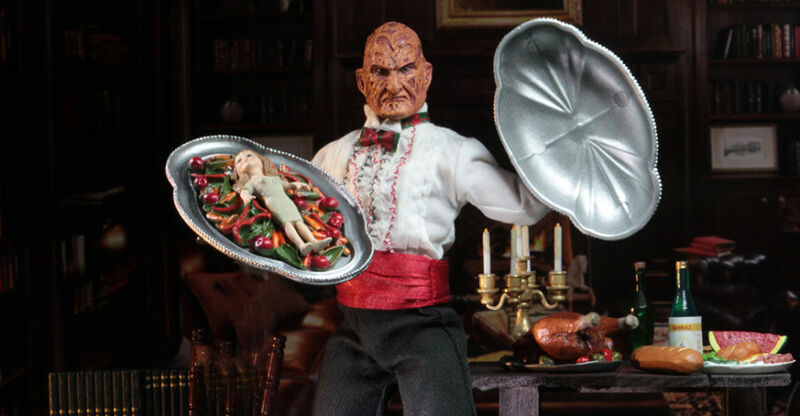 The 8″ scale figure is based on their Mego style releases, and includes a cloth outfit, a chef hat, and a serving tray. 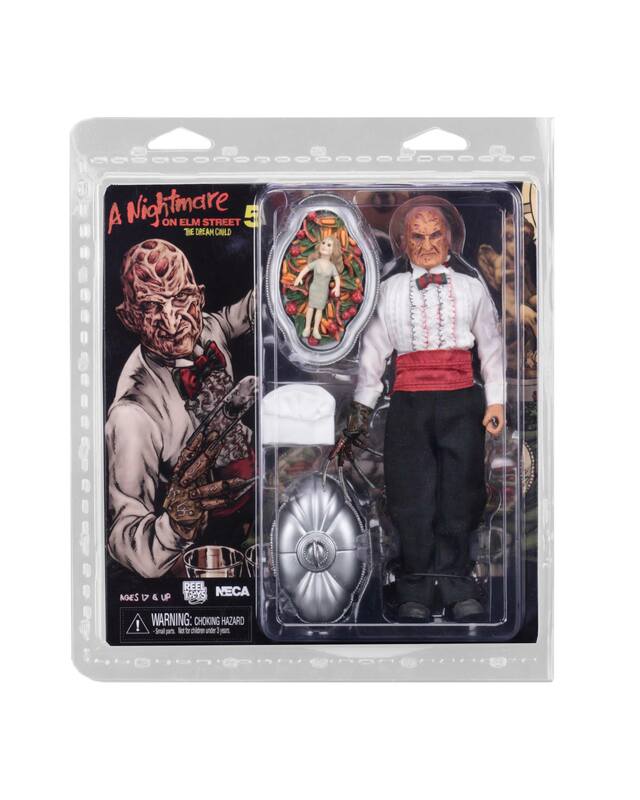 It won’t be available at retail until the end of the month. 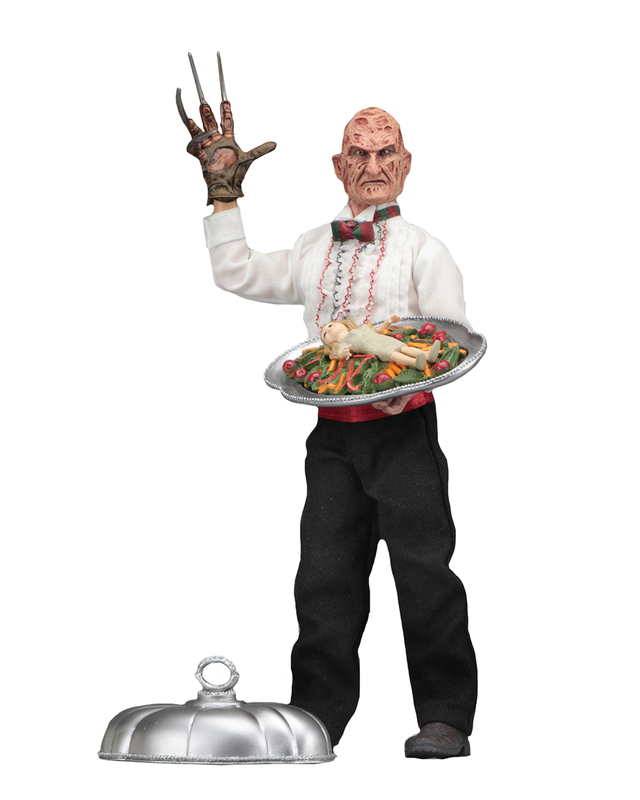 The figure is priced at $31.99 plus shipping.